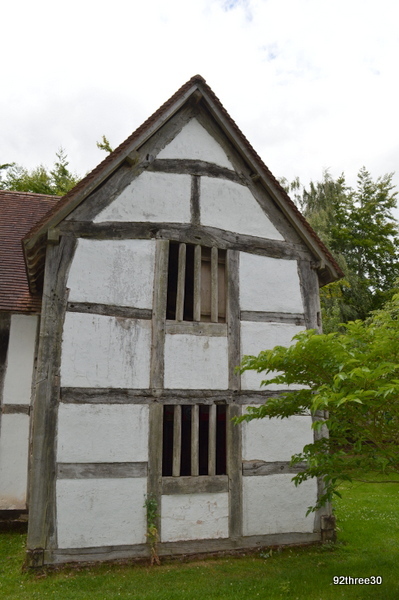 We’ve been to Avoncroft Museum in Bromsgrove a couple of times in the past for a birthday party for one of H’s friends. They were a lot of fun and were themed around the Mad Hatter’s Tea Party. One or two of my pictures for this post might look a bit wintry and that’s because a few were taken on these previous visits, partly because we struggled to fit everything in on the day we last visited as there was so much to do. Avoncroft is a museum of historic buildings. 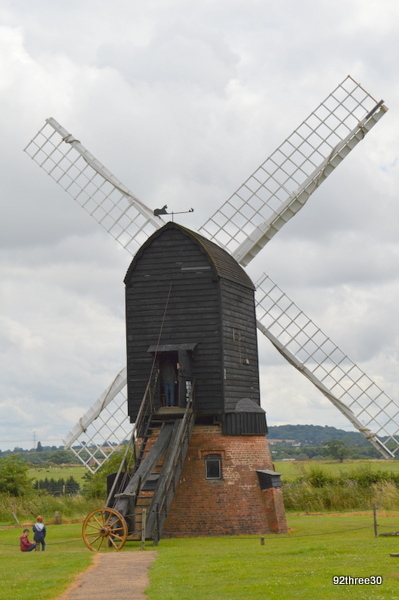 A lot of these buildings are of a rural nature like this handsome windmill, which still works and sometimes can be seen in action. There are barns and other agricultural buildings, but also houses. They are set in lovely green grounds and there’s a really feeling of space and being in a country village when you are in the museum. You wander from house to house, building to building, getting an insight into life in Worcestershire in times gone by. There’s a chainmakers workshop and the nailshop, which reflect the industrial heritage of the area. 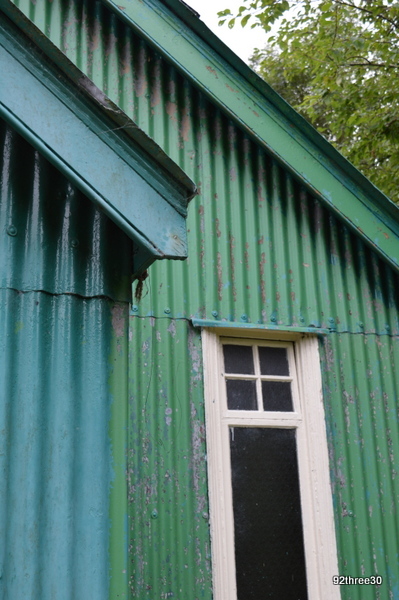 One of my favourites is the prefab church. It’s amazing to think that you could just order a church from a catalogue and it would arrive ready for your congregation to assemble: a bit like going to Ikea to buy flatpacks I guess, but on a huge scale. Sadly this church had fallen out of use and it was moved to this site to preserve it. 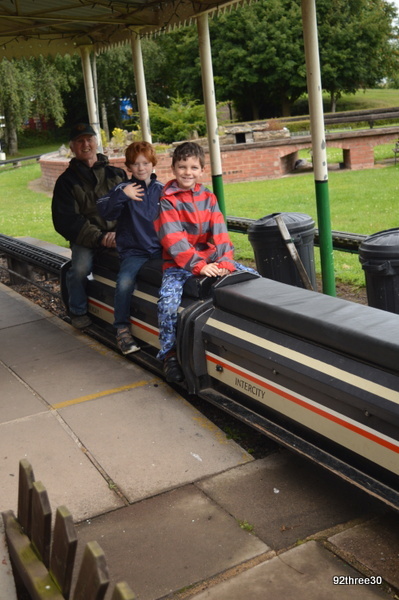 On site too is the Bromsgrove Society of Model Engineers’ miniature railway, trains run every Tuesday (plus some other event days – we went on a Wednesday) and luckily we’d timed our visit perfectly to get a ride. This is an extra 50p, but it’s a bit of fun and H certainly enjoyed his ride round the track. We’d also were able to take in some of the summer holiday activities. We tried pond dipping and bug hunting finding quite a range of creatures. The pond is a really pretty part of the site and it is brimming with wildlife. Bug hunting took us round the orchard and we found everything from bees to ladybirds, spiders to woodlice. I am loving the sound of the brick making activity so we might have to find an opportunity to fit that in and I know H will want to try out archery. 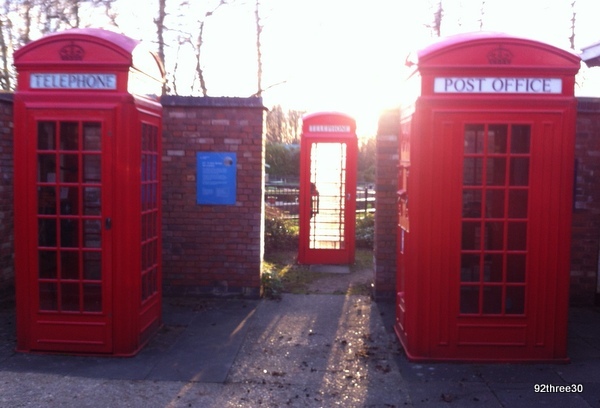 The museum has some interesting special collections including the National Telephone Kiosk Collection, which is made up of 32 phone boxes, including every type used from 1912 right up till now. 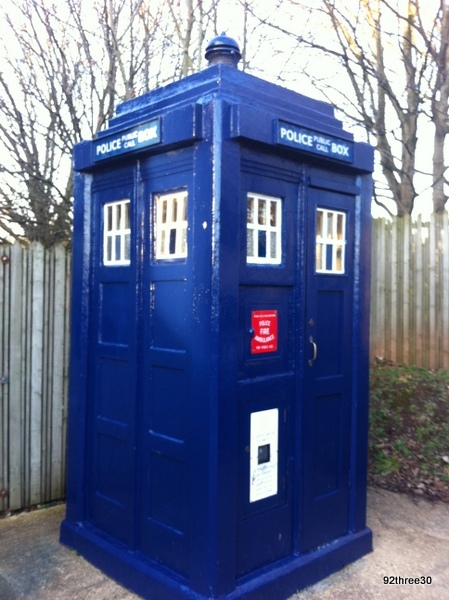 Fans of Doctor Who will love the police boxes too and it’s very easy to get your picture taken with the tardis. Avoncroft is a great family day out. It’s very easy to get to and there is good signage from the motorway junctions (we came in from junction 5 of the M5). Don’t be put off by the approach through a sort of business park area. There’s plenty of free parking and the most amazing tea room (housed in an historic building of course). I was sorry we ate too much packed lunch to fit a cake in as they look fantastic. If you bring a picnic there are quite a few picnic tables and lots of spots to spread a picnic blanket. There’s also a nice children’s playground and lots of grounds to run around in. There’s enough to occupy you for a full day’s visit. There are bits where you could spend a little time indoors, if there was a rain shower, but it’s better on a dry or mostly dry day as you have to move from building to building. What a fab fun local place to visit and enjoy. Avoncroft is great. we go loads! Kara recently posted..How to Survive a Festival with Kids in Tow!